"I Feel It Coming" is a song by Canadian singer The Weeknd featuring French electronic duo Daft Punk, from his third studio album, Starboy. It was written by the trio alongside Doc McKinney, Cirkut and Eric Chedeville, being produced by Daft Punk, with The Weeknd, McKinney and Cirkut serving as co-producers. The song was released for digital download on 2016. The song peaked at number four on the Billboard Hot 100 on the date ending April 15, 2017. 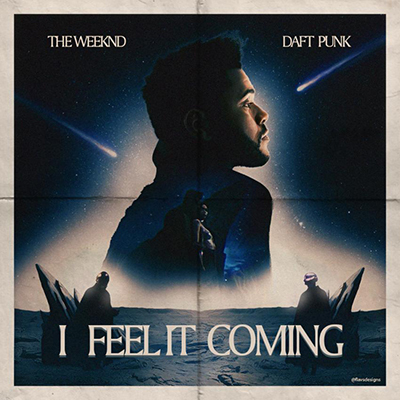 As of September 2017, "I Feel It Coming" has sold 888,000 copies in the United States.